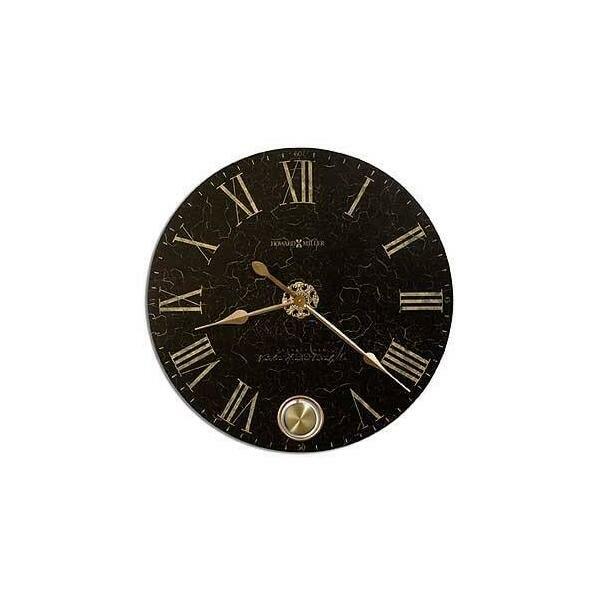 This Moment in Time™ gallery clock features a pendulum viewed through a window at the numeral six position. 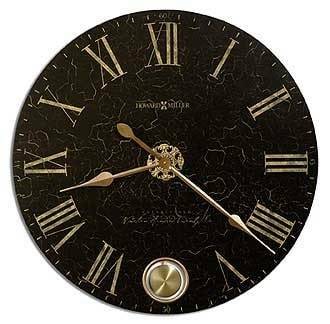 The aged dial offers black crackle finish with aged gold center mediallion and gold hands. Quartz, battery operated movement.